One of the reasons that Florida Citrus is so special is the conditions in which they grow. Another reason is because of the resilience and ingenuity of the people that grow it. 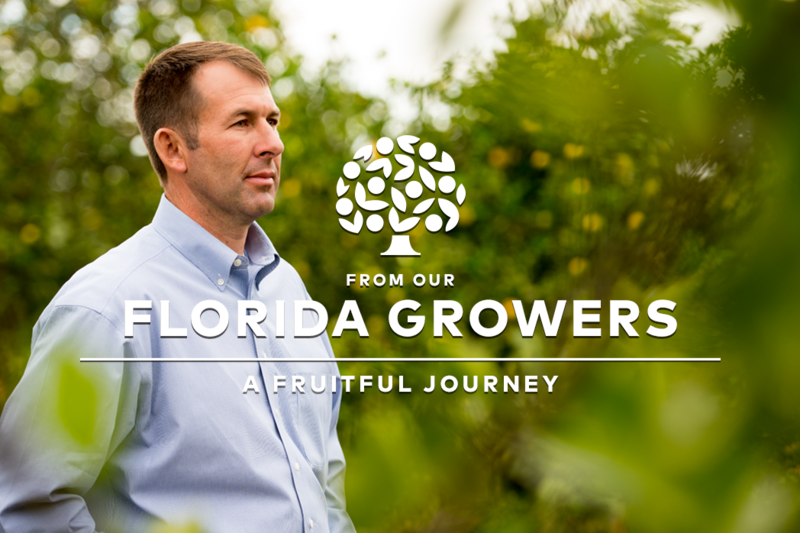 Steve Johnson is one of the growers that best embodies the spirit of Florida Citrus growers. As he learned from his family early on, the key to his success has been to keep growing—literally and metaphorically. Just as his father and grandfather built a large citrus operation from a small farm, Steve diversified his own business by starting a harvesting company to help him continue to cultivate the fruits of his labor. So why are Steve and so many others in the Florida Citrus family able to weather the challenges of the industry? In part, he thinks it’s because of the character the growers naturally have. They simply don’t give up easily. But the other big reason he lists for their ability to overcome problems is the reward of harvesting some of the most amazing fruit in the world.